If you are looking for a career that can give you infinite personal as well as professional benefits, then nursing is your best choice! As a nurse, you will have a career in caring and looking after others, which can give immense satisfaction. You will be helping others through your knowledge, skills and compassion. Your nursing abilities will be a mix of technical objectivity and personal subjectivity. As a nurse, you will be a part of the world's largest healthcare profession. There is a growing deficit of nurses and as such more job opportunities are likely to open up across the globe. 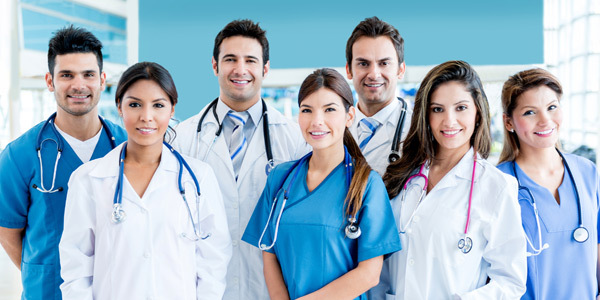 In any hospital or healthcare institute, nurses are the primary caregivers and work as a part of a multidisciplinary team to take care of the physical, medical and emotional needs of the patients. Nurses can also take care of patients in their homes or in community care centers. They can take on various roles- looking after the aged, disabled persons, patients in acute care, or in the operating theaters or critical care units. They can assist at deliveries, work in emergency rooms or look after patients in wards. There will never be a shortage of job opportunities for nurses, especially in the aged care sector. With increasing numbers of the elderly in our society, there are more and more aged people staying alone at home as their children have moved to other cities. This has led to an increasing need for qualified aged care workers who can step in and take care of the elderly- either in their homes or in aged care facilities. Nurses can also take on management positions. A Nursing Unit Manager is in charge of the other nurses in the unit and assigns tasks and oversees the work of the nurses in her team. A NUM needs to collaborate with other healthcare professionals on the care of patients under her charge. 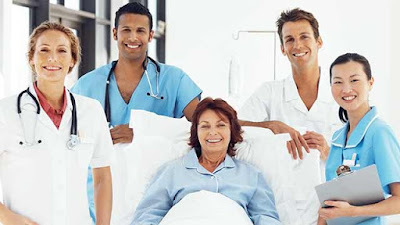 A clinical nurse educator is one who educates other nurses and can get a job in a teaching hospital or nursing school. Nurses can also become Nurse Consultants, and use their experience to effectively oversee the nursing facilities in the institute. To get started on a career as a nurse, you should undertake the necessary qualifying courses at state-approved and accredited schools of nursing. The Diploma of Nursing course (HLT51612) is a qualification that covers the application of nursing skills required to be eligible for registration with AHPRA as an Enrolled Nurse (Division 2). Nursing students may be required to undertake professional placements at hospitals and other health care settings, where they can get hands-on experience in caring for patients. The right attitude, a great deal of perseverance and willingness to work and study hard will take you far in your goal to help others as a nurse.